Peng is an experimental laboratory for new forms of radical protest. The collective is a young and daring group that consistently bangs the artivism drums in order to “wake up the post-democratic zombies and shine the torch down the rabbit holes of social and political injustice”. 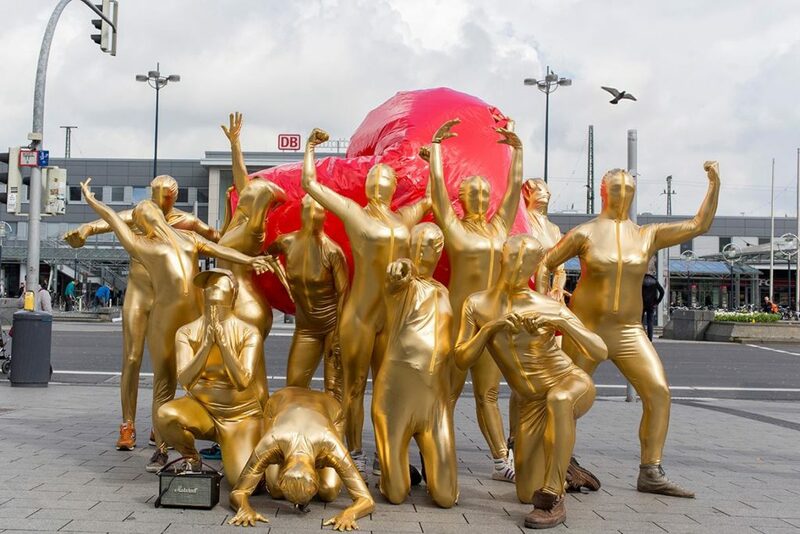 They draw inspiration and learn from the arts, hacking, politics and big business in order to design provocative and critical culture-jamming interventions. 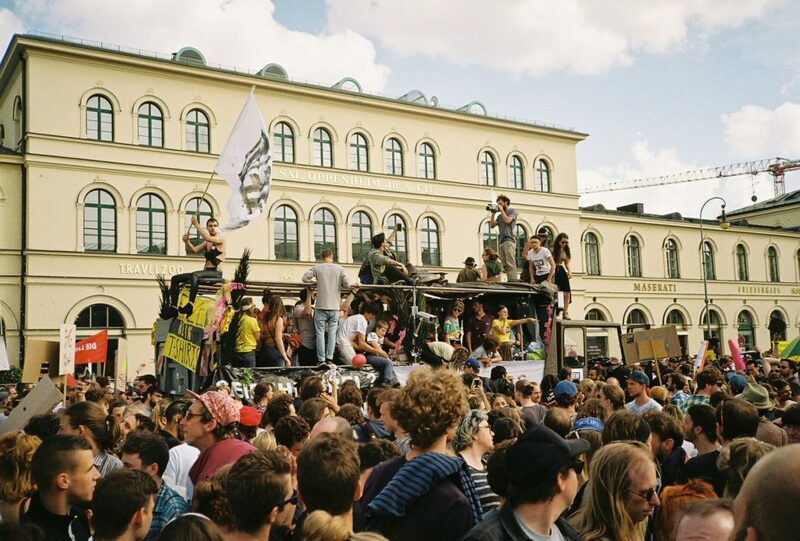 They inject new voices, new positions and new frames into social and political debates and in turn inspire and shake up the humdrum of traditional campaigning and activism. 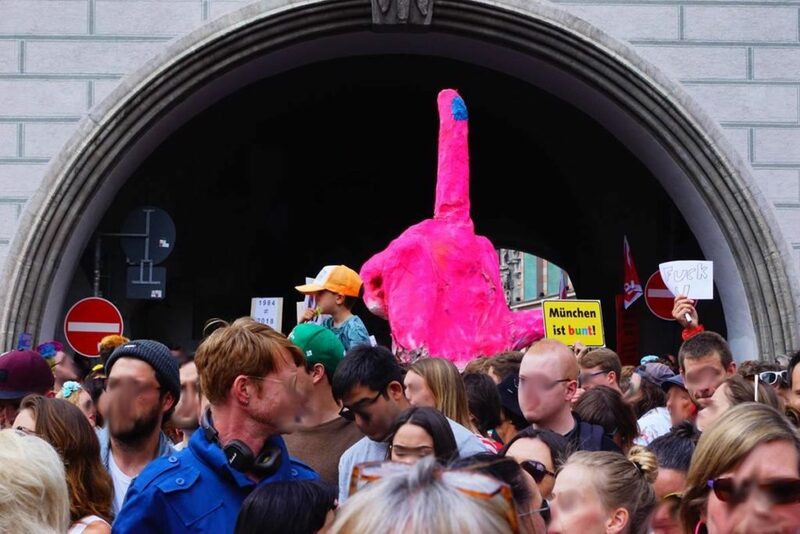 For instance, a couple of years ago they launched a three-stage campaign against German small arms exports, which received large press coverage and social media attention and after which Germany’s second biggest party SPD included a ban on small arms exports in their party platform. 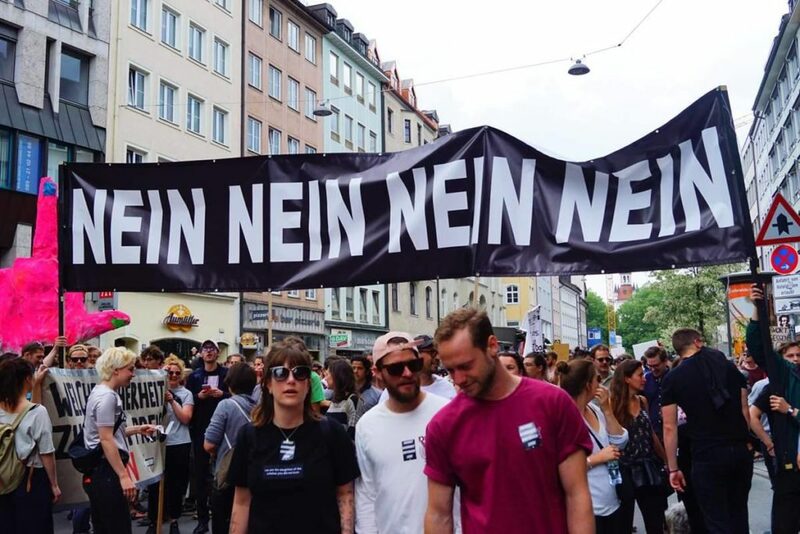 Also, just before the borders opened in 2015, they called for direct action for giving rides to refugees in Europe, which sparked the debate around the legitimacy of civil disobedience in the face of a humanitarian crisis, a discussion that even ended up in Austrian parliament. Additionally, Call-A-Spy, was their art installation that allowed regular citizens to gain personal contact through phone calls with the men and women working in intelligence agencies. Peng stands firmly on the idea that a healthy democracy needs a strong and courageous civil society. Civil society should rival big business and governments in its ability to influence public discourse. It should also draw from the same tools and respond with similar levels of agility and deftness to respond to social and political problems. To achieve this, civil society needs to develop tools and tactics to mobilise people, to strengthen progressive voices and to work in such a way that connects issue areas, joining fights when relevant. There are a number of organisations doing very thorough research and advocacy work but it rarely enters the mainstream. Or there is a lack of creativity to think about how to cause media momentum to increase spread. Peng sees itself as a provider of both tools and tactics for civil society, a bridge and cross-pollinator of groups and issues as well as an amplifier of unnoticed issues. The Peng! 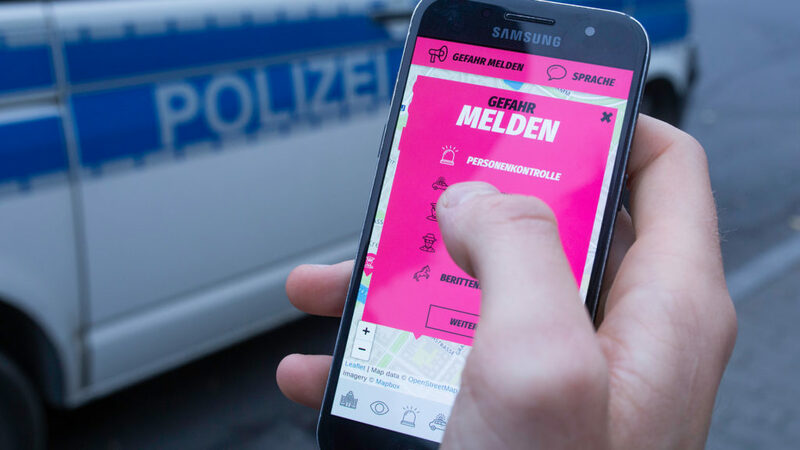 collective created a campaign about illegal profiling practices by the Bavarian police with personal testimonial interviews as well as an interactive map of Munich with live positions of police patrol cars. Police brutality and abuses of power particularly against marginalised people has been in the news with ever increasing frequency worldwide and people are starting to work on ideas for how to handle, reinvent or even potentially replace the police. An “imminent danger” is defined as anything deemed by the police to be potentially dangerous, even in the absence of a specific reason. This opens the door even further to irresponsible abuses of power. The police force itself has become a danger to basic rights, freedom, and democracy. For certain people this has always been the case, but as of now everyone is affected and could potentially become a target. For this reason, Peng have launched Cop Map, which allows its users to report, see, and avoid police presence and unwarranted inspections. You can save a direct link to this Website on the screen of your smartphone, so that you can always quickly access the page. Cop Map works everywhere, worldwide. Our grant went to the development of this website and campaigning work associated with this initiative. 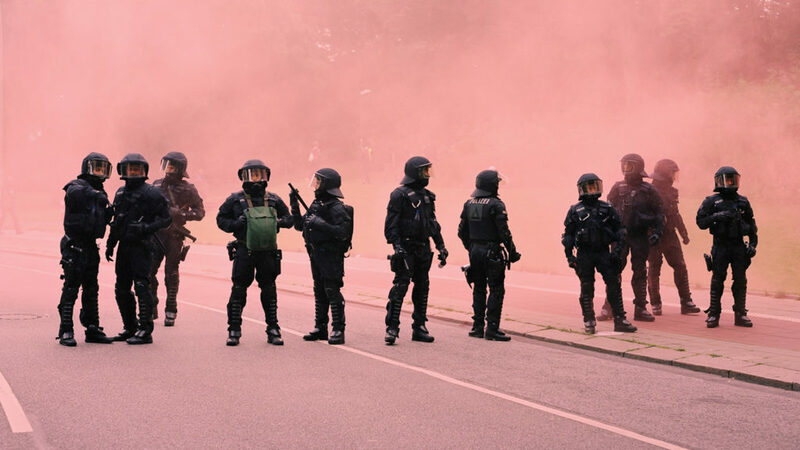 With the new Bavarian PAG – the most extreme police legislation since 1945 – the powers of police officers to conduct surveillance and intervene in personal affairs has been massively expanded. The legislation grants police officers the most far-reaching authority compared to any other German state, and is intended to provide a blueprint for other regions of Germany. Those who have always associated the police with danger rather than safety will likely continue to be the ones most affected. But others might also be targeted. Justifiably, the PAG has been sharply criticized from many angles.